Mauricio Pochettino is eager to salvage a Europa League spot out of Tottenham's failed Champions League campaign as he believes it will help them overcome their Wembley blues. Spurs have lost their two previous Group E games at the national stadium, but will qualify for Europe's secondary competition if they avoid defeat there against CSKA Moscow on Wednesday. With White Hart Lane undergoing redevelopment until 2018, Spurs are set to play more games at Wembley next season and Pochettino wants to make some positive memories under the famous arch. "After being out of the Champions League, it's [the Europa League] important for different reasons," said Pochettino, who last month confirmed the club's preference to play Europa League games at Wembley, despite being free to return to White Hart Lane. "First of all because we have the opportunity to play more games at Wembley, where next season we will play more games. 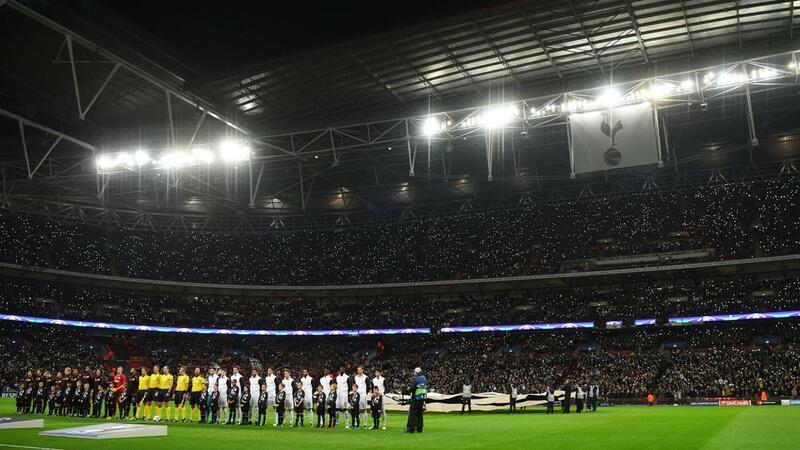 It's a great opportunity to make Wembley our home. "For the squad it's important to be involved in different competitions. We have a lot of young players who need the experience of playing in Europe. "Now it's a good opportunity to show that we learn from our experience in the Champions League. "I believe that it's important for the club to be involved in the Europa League. We didn't play well in the Champions League at Wembley, but it's important for us to be involved in the Europa League. Why not try to go further in that competition?" Pochettino also confirmed defender Toby Alderweireld would return to the squad having been sidelined since October with a knee injury. "Toby will be involved in the squad," said Pochettino. "We are happy. "It's important for him to be involved. He will be on the bench and then we will decide if he will be on the bench again at Manchester United on Sunday."